If you’re looking to make a move to Boulder, you’ll need to find the right neighborhood. Fortunately, Boulder has several areas to explore, each with a unique appeal and community. Mapleton Hill is one of the oldest and most coveted neighborhoods in Boulder. When you stroll down Mapleton Avenue you can enjoy the picturesque boulevards with expansive lawns and luxurious porches completed in late nineteenth century architectural style. With houses going for a million dollars or more, you can be certain that quaint features and great location will go for top dollar. The majority of residences are Victorian and Queen Anne architecture. It’s not just fraternities and sororities that make their home in this neighborhood west of CU and south of downtown Boulder. Families also reside in The Hill (as it’s commonly called) which is one of the oldest neighborhoods in Boulder with a mix of student rentals to multi-million dollar single family homes. Just like the houses being a variety of young and old, the residents reflect the same dynamic. Lots of diversity with a mix of student rentals and single family homes. 1890 was when the neighborhood was first developed, and the rest is history. Welcome to a modern-day mountain subdivision with spacious multi-acre lots and luxurious architecture all nestled away in the foothills of the Front Range. This desirable mountain community is just west of Boulder, and even while you’ll feel tucked away at the foot of the Rockies, the commute to downtown is only five miles. This mountain community consists of approximately 400 homes. Pine Brook Hills is a close-knit community and even has its own reservoir for fresh drinking water and volunteer fire department. South Boulder, nicknamed SoBo, is southwest of Boulder where gorgeous homes border the foothills and are nestled right below South Boulder Peak. Between Table Mesa and Broadway, this desirable neighborhood is more affordable making it perfect for new families. In addition, families flock to SoBo due to the renowned schools, great access to mass transit, and outdoor activities right in the backyard that keeps kiddos active (and fur babies, too). Houses range from the mid-$300’s up to $800,000. Fun Fact: Stephen King, the author of The Shining, lived in SoBo in the 70s. The Table Mesa Shopping Center has all of your needs—from grocery stores, pharmacies, breweries, and a variety of restaurants—all in one area. Quiet residential streets give this up-and-coming neighborhood of North Boulder a private feel while maintaining easy access to downtown a mere two miles away. The growing retail and restaurant scene—with organic grocers and favorite park trails—have made this ‘NoBo’ neighborhood one of the best places to be in Boulder. This neighborhood serves up some of the city’s best ethnic foods with parking abound. Cue the song ‘Downtown’ because Pearl Street is located in the heart of bustling Boulder. Tourists and locals alike can walk, eat, and shop their way through a four-block pedestrian walking mall. Pearl Street is also filled with talented musicians (a few you’ll get to know regularly), art, and plenty of activities that brings out the best of Boulder life. Dogs are not allowed on Pearl Street Mall, something to consider if you’re moving with a furry friend. Every day you can watch talented live street performers. Peal Street is home to Boulder’s nightlife scene. The area is a historic district, and many of the buildings are among the oldest in Boulder. Consider Newlands a classic Boulder neighborhood, wedged between Mapleton Hill and Wonderland Hill. The backdrop of every family-friendly home is Mount Sanitas, and you’ll pay for that gorgeous view. If your budget is in the millions, you can find a 20’s style bungalow or modern masterpiece all on the same block. 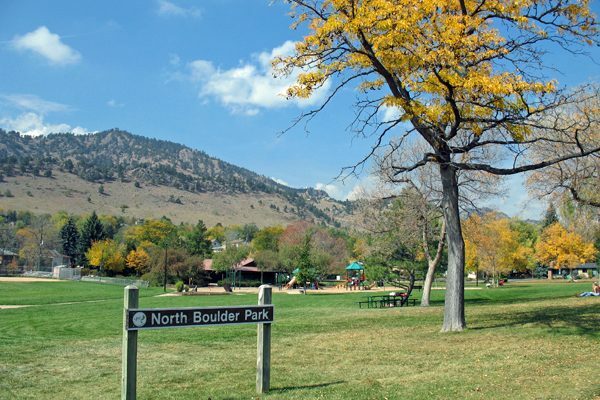 North Boulder Park is in this neighborhood with picnic tables, sporting fields, and playgrounds. In 1871 it started as a large orchard by the Newland family. To this day you’ll find the Newland neighborhood still bears the apple trees planted so many years ago. One of Boulder’s best-kept secret is Wonderland Hills. 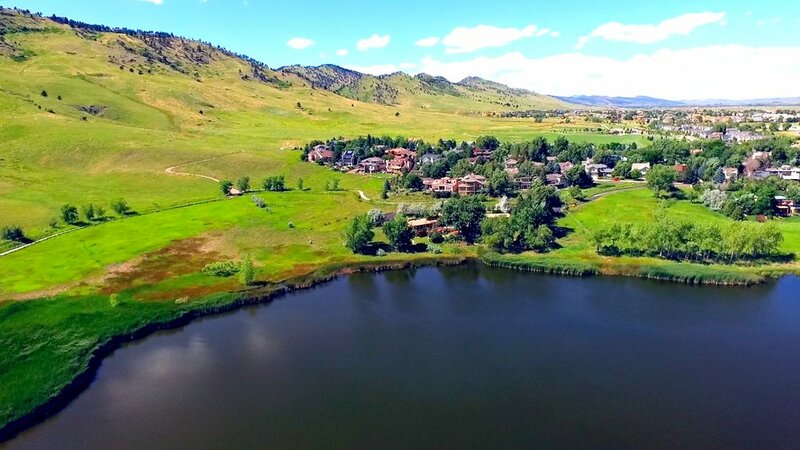 Equipped with large lots, quiet mountain living, and the crown jewel—Wonderland Lake—it’s no wonder residents enjoy this suburb from the 70s that’s designed to be luxury living in the foothills with downtown being a stone's throw away. You may want to save your stones to skip in Wonderland Lake recreational area. Houses go from the $400,000’s to the millions and consist of spacious layouts situated on large lots. Insider Secret: Wonderland Hill has limited parking for guests. Meaning Wonderland Lake and its trailheads are mostly for the enjoyment of residents. The Chautauqua neighborhood is located at the base of Boulder's Flatirons and is one of the most scenic and popular destinations in town. One of the best parts about this sprawling neighborhood is being so close to Chautauqua park where there are trails up to the iconic Flatirons that are the mascot of Boulder. It’s one of the most sought-after zip codes in town. Come for an evening at the Chautauqua Auditorium, built in 1898, and hear famous singer-songwriters perform, watch a film—or spend a few days during the esteemed Colorado Music Festival. See the best view of the Flatirons.